Stormy, rainy weather across the Tri-State [New York, New Jersey, Connecticut] area Monday (April 20) into Tuesday brought about a magnificent sight this morning. 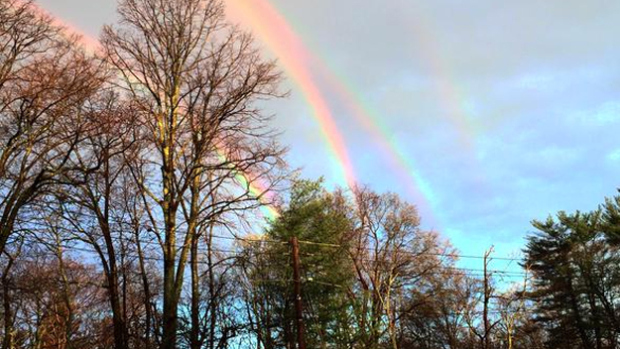 Double and even quadruple rainbows could be seen on Long Island as well as a rainbow arching over a NYPD Highway Patrol precinct. Amanda Curtis snapped a picture of the phenomenon as she was waiting for a train. A Japanese train with a strong track record in blazing speed beat its previous mark from last week by hitting 374 mph early Tuesday near Mount Fuji. 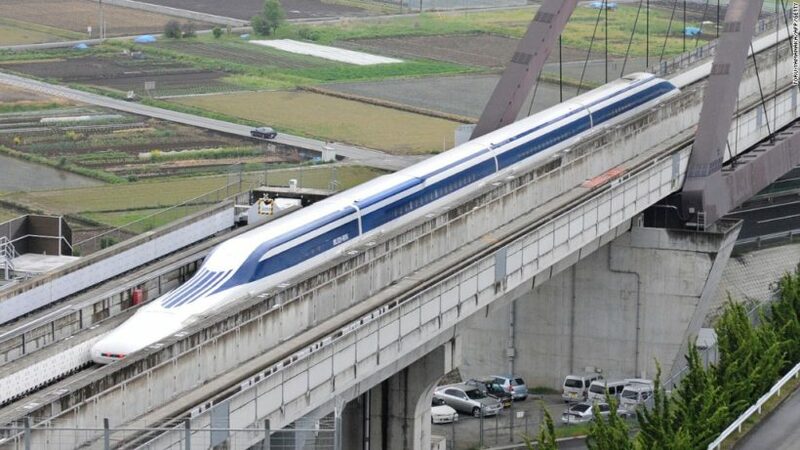 Central Japan Railway’s seven-car Maglev — short for magnetic levitation — topped its 366 mph record, NBC News reported. The previous record of 268 mph had been held since 2003. The blistering run Tuesday was to test the safety of the trains, which are powered by electrically charged magnets and hover four inches above the tracks. “Both the car and the track is designed for commercial use and I believe both the level of comfort and safety has improved,” testing facility chief Yasukazu Endo said. Future passengers, however, may not get a chance to be propelled at such speeds. Trains with passengers are only expected to travel at a mere 313 mph. The Maglev is expected to run between Tokyo and the central city Nagoya by 2027 – covering the distance in just 40 minutes, less than half the time taken by the shinkansen bullet trains now in service. From CBS New York and NBC.